This week my school is hosting its fall parent-teacher conferences. 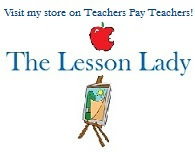 Since parent-teacher conferences is something we all go through, why not make it easier? Here are some tips for your parent-teacher conferences. 1. 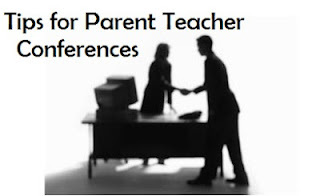 Offer parents multiple options for conferences. This could include phone conferences as well which can also be effective. Set up a time during parent-teacher conferences to call the parent and discuss the child over the phone. 2. Start with the positives! Even if a child is struggling or has difficulty in class, it is always nice to start off on a positive note and say something positive. It is always nice to end on a positive note as well. 3. Ask your students' parents for a partnership. Sometimes parents can be great allies and it is always best to find ways to have them work with you for the betterment of their child. 4. Don't be afraid to ask for support. Sometimes you may need some extra support during a conference. Don't be afraid to ask colleagues to help support you during a conference. My administrative team encourages us to ask them for extra support when we may need it during parent-teacher conferences. 5. 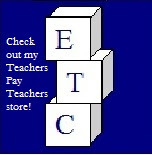 Set up other activities for parents during parent-teacher conferences. Sometimes a great way to encourage parents to stay around the school or have activities for them to do while waiting. This could include setting up a book fair at the school or opening the gym for younger siblings to play while their parents are in a conference. Do you have a tip for parent-teacher conferences? I would love to hear it!